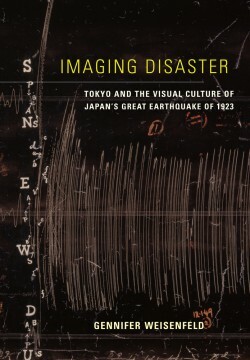 Focusing on one landmark catastrophic event in the history of an emerging modern nation—the Great Kantō Earthquake that devastated Tokyo and surrounding areas in 1923—this fascinating volume examines the history of the visual production of the disaster. The Kantō earthquake triggered cultural responses that ran the gamut from voyeuristic and macabre thrill to the romantic sublime, media spectacle to sacred space, mournful commemoration to emancipatory euphoria, and national solidarity to racist vigilantism and sociopolitical critique. Looking at photography, cinema, painting, postcards, sketching, urban planning, and even scientific visualizations, Weisenfeld argues that that visual culture has powerfully mediated the evolving historical understanding of this major national disaster, ultimately enfolding mourning and memory into modernization. Gennifer Weisenfeld is Associate Professor of Art, Art History & Visual Studies, Duke University, and former Robert and Lisa Sainsbury Fellow (2005-06).